Let the School of Fishing show you Rutland Water. 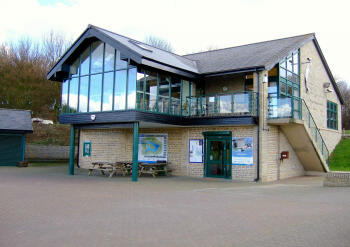 Rutland Water is arguably the premier trout fishing venue in the United Kingdom. The massive 3100 acre fishery has been a mecca amongst exponents of fly fishing for generations with a fleet of 65 powered boats and regularly plays host to International Competitions and other National Events. The fishery records at Rutland Water are unique with a modest 14lb 4oz for Rainbow Trout and surpassed by a massive 17lb 6¼oz for the biggest Brown Trout ever caught at Rutland Water. This venue is often busy during the open season from April to December. Despite the vast size insect life is plentiful and popular flies include Buzzer, Sedge, Daddies, Hawthorn and other imitative patterns. The depth of this fishery means that Boobies, Orange Blobs and Dabblers are also very effective. Rutland Water is also one of the largest man-made reservoirs in Europe and is located in Rutland, England’s smallest county. Set in 3,100 acres of countryside, it has a 25-mile circular track for walking and cycling. Bird watching is also another famous pastime at Rutland. Not many people realise that one of the best places to view the Ospreys is from a Rutland fishing boat!